The Milky Way with it's Galactic Center and beautiful Zodiacal Light in all its unspoiled beauty above ESO's Cerro Paranal Site with VLTs and VISTA Telescope, Chile. Image taken on a dusty road coming back from a visit to Cerro Armazones. 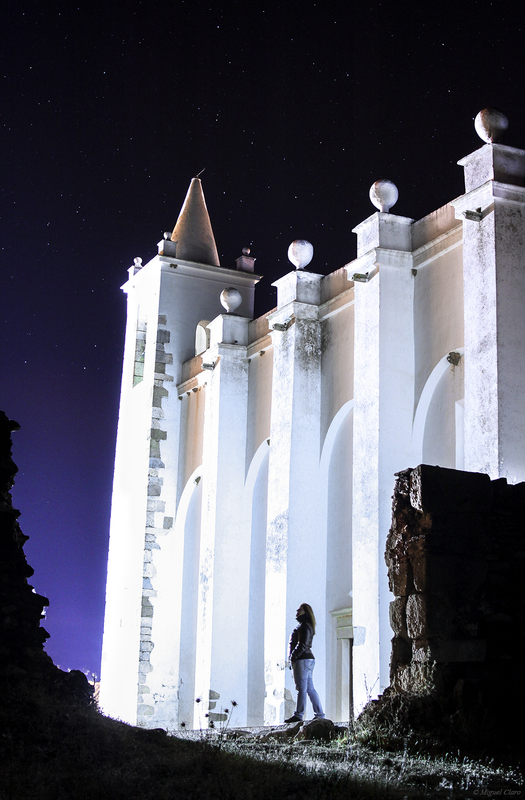 Exposure: 30s, f2.8, AFS Nikkor 14-24, Nikon D3s, 28.10.11, 04:03 a.m. When I was little I used to think the sun had rays just like my crayola sunbursts - but you needed just the right conditions in order to see them. I was very disappointed when grownups told me the "rays" are in fact optical illusions caused by clouds. 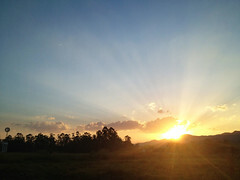 But this weekend, driving home from my cabin in the hills, I just had to stop and capture this lovely sunburst sunset. After all, the rayed symbol must have come from watching sunsets like this one! 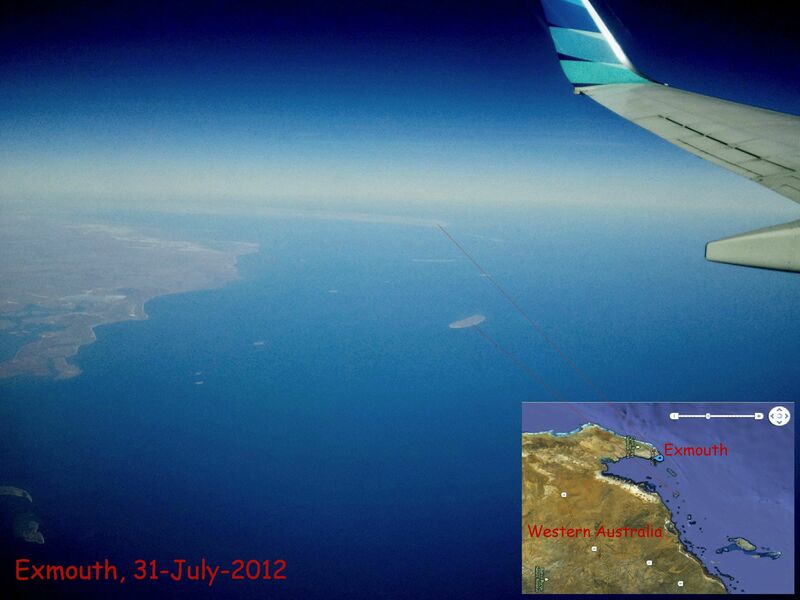 This photo was captured on the 31st of July 2012 on the flight between Perth, Western Australia, and Bali, Indonesia. 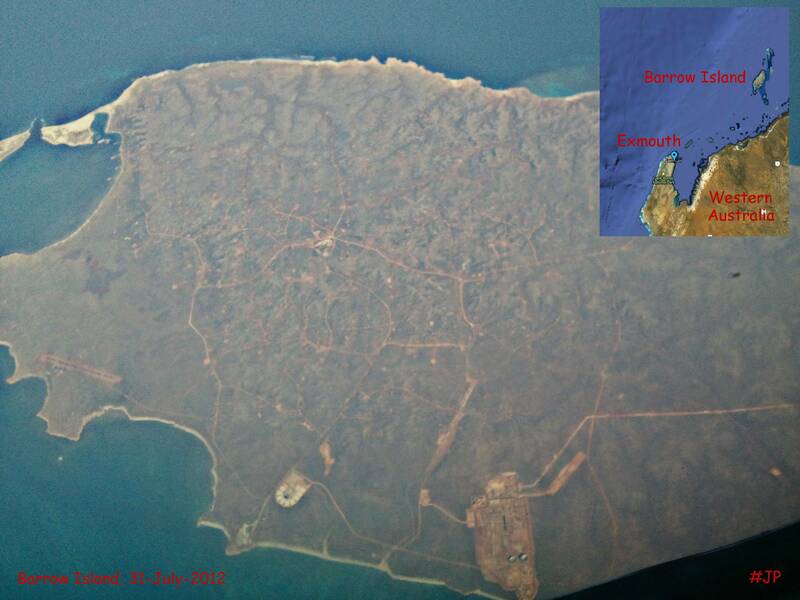 It shows the Exmouth Peninsula and the very corner of the north-west of Western Australia .. and part of the wing of my plane .. Here is the second picture captured with my mobile phone on the flight from Perth, Western Australia to Bali, Indonesia. Last edited by owlice on Wed Sep 12, 2012 10:41 pm, edited 1 time in total. Reason: Attached image, as hotlink didn't work; left link. Thanks for sharing! The morning sky has been looking incredible lately...lots of objects in the night sky. Starting from the bottom: Moon, Venus, Jupiter, Pleiades, and Betelgeuse/Bellatrix and Orion's Belt of the Constellation Orion on the right. Photo was taken August 14th, 2012 near Tucson, Arizona. The Swan nebula imaged from Namibia. Last edited by bystander on Thu Sep 13, 2012 4:21 pm, edited 1 time in total. 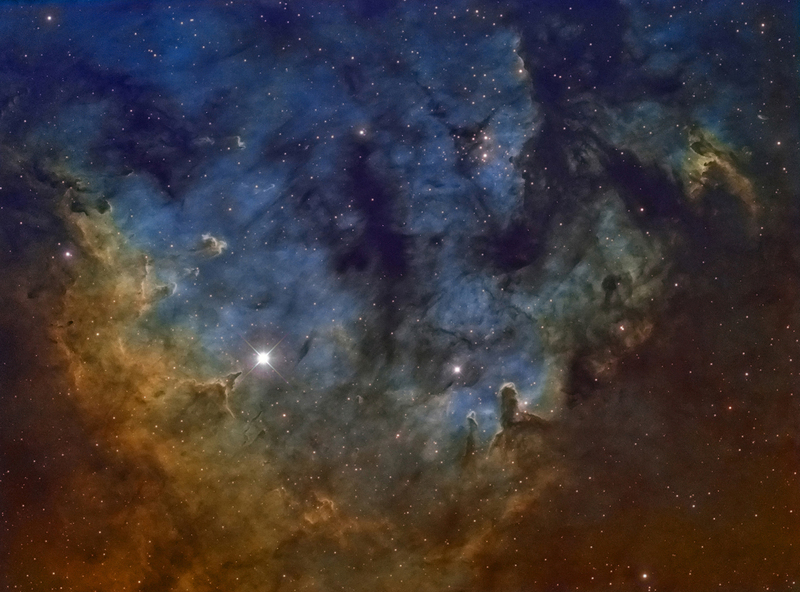 The Swan nebula - Hydrogen Alpha only. Last edited by bystander on Thu Sep 13, 2012 4:22 pm, edited 1 time in total. Balancing boulders. Over 180 degree panorama made from 15 vertical images. For bigger size please click here. Jupiter on September 11th, On the following day of the noted flash reported. The markers shows the approximate region where this occured. North is at bottom,The GRS, Oval Ba are very close now. The Moon Ganymede is transiting across the Jovian disc. 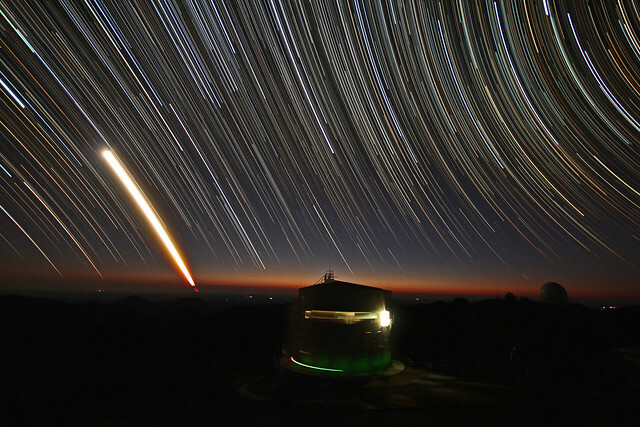 Startrails and Moon rising over the 2.3m ANU Telescope at the Siding Spring Observatory (Coonabarabran, NSW, Australia). It is a composition of 255 frames obtained using my CANON EOS 600D camera in the early morning of September 12th, 2012 before the sunrise. 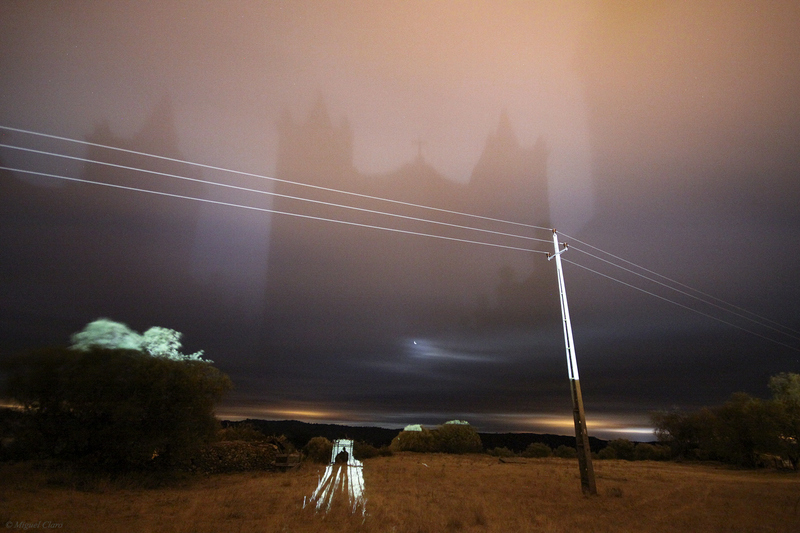 Each frame was taken at 800 ISO, 30 seconds exposure time, using a 10mm wide-angle lens at f4. The dome of the 3.9m Anglo-Australian Telescope (AAT) is seen at the right end of the image. From this place, the AAT is at a walking distance of 20 minutes. The high resolution image is quite good and shows in each star the tiny separation between different frames. There are 2 shooting stars in this image, however, as they are not very bright and long they are not easy to find. 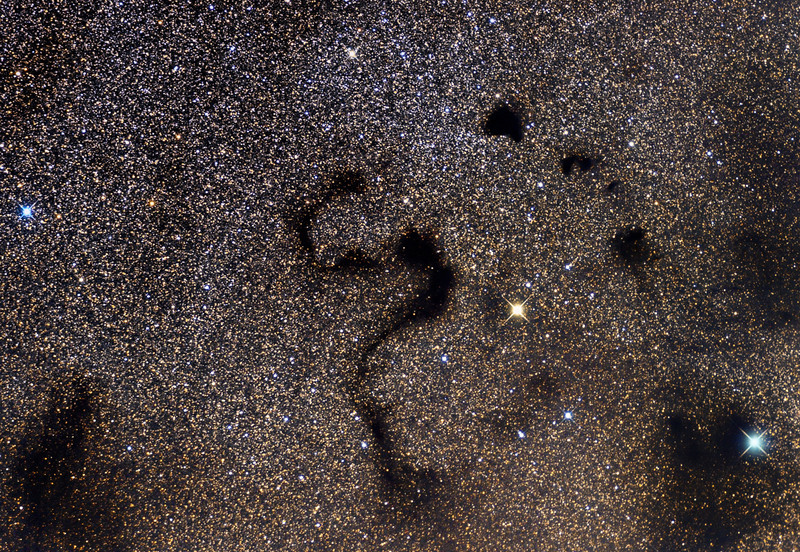 Credit: Ángel R. López-Sánchez (Australian Astronomical Observatory / Macquarie University). Frame of the time-lapse video A 2dF night at the Anglo-Australian Telescope. Startrails over the Anglo-Australian Telescope (AAT) on 23 Sep 2011. 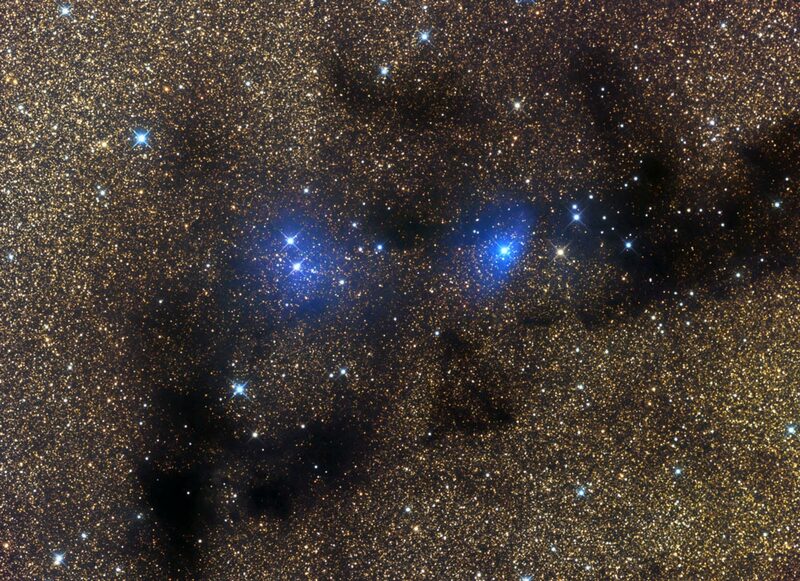 The colours of the stars are clearly seen in this image, which stacks 1h 6min of observing time. The video shows the most complex astronomical instrument that astronomers use at the AAT: the Two Degree Field (2dF) system. The main part of 2dF is a robot gantry which allows astronomers to position up to 400 optical fibers in any object anywhere within a two degree field (size equivalent to 4 full moons) of the sky. 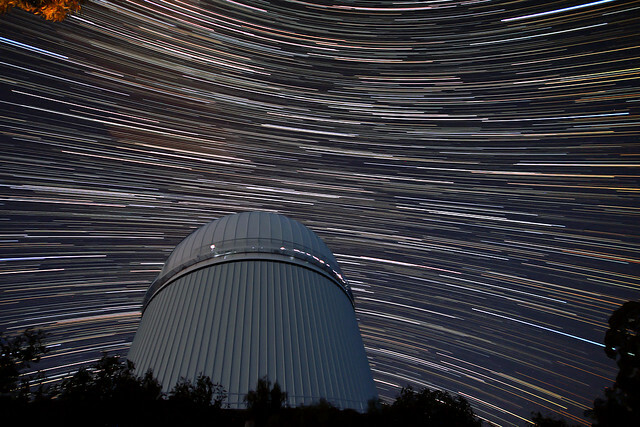 The new time-lapse video does not only show how 2dF works, but also how the AAT and the dome move and the beauty of the Southern Sky in spring and summer. Other details that appear in the video are the movement of the Moon, the colour of the stars, clouds moving over the AAT, satellites and airplanes crossing the sky, the nebular emission of the Orion and Carina nebulae, the moonlight entering in the AAT dome, and kangaroos moving in the ground. 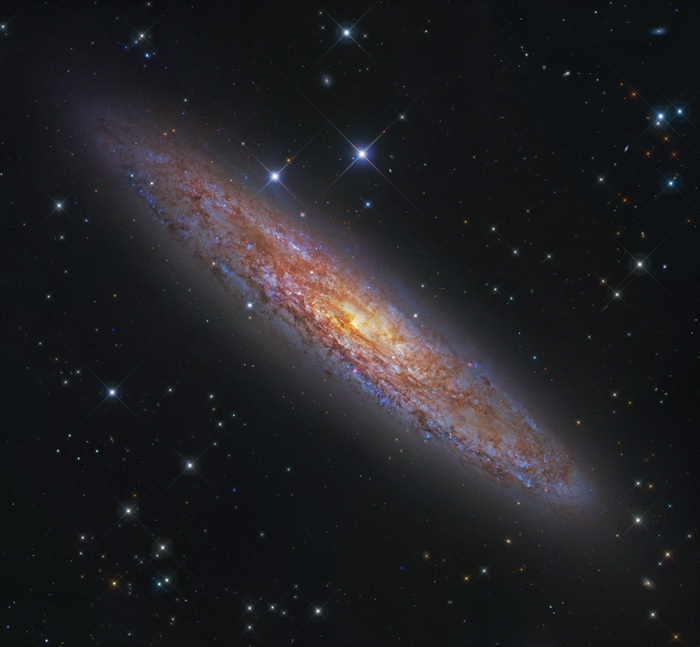 Credit: Ángel R. López-Sánchez (Australian Astronomical Observatory / Macquarie University).